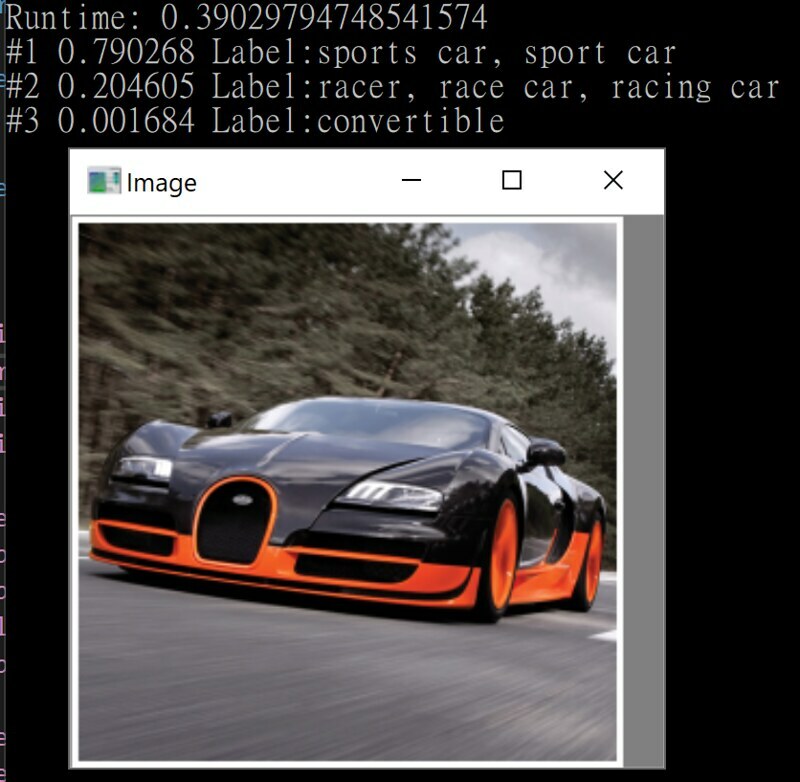 OpenCV 3.3 included dnn module in the main repository, now we can use popular framework like Caffe, TensorFlow in OpenCV via dnn module. 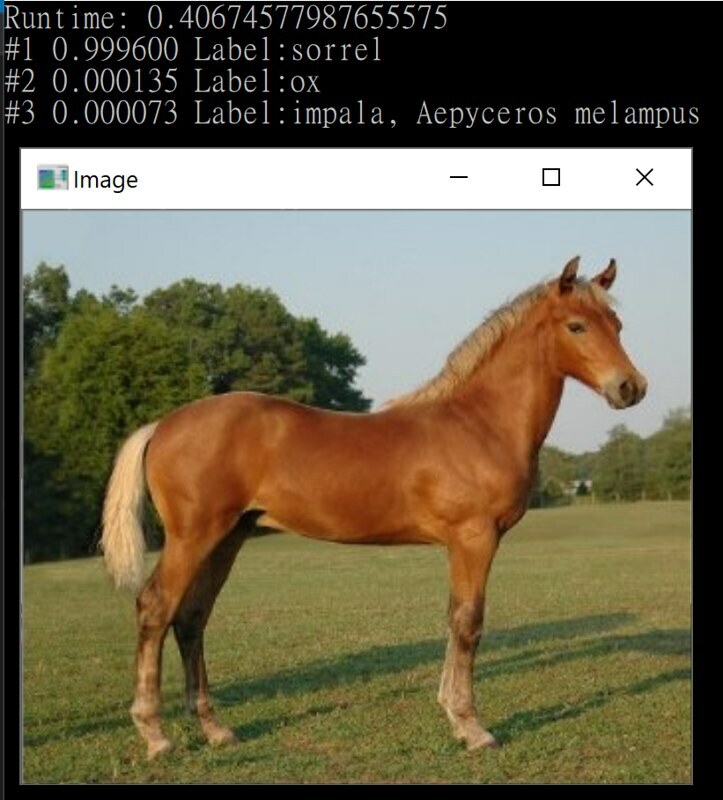 This post we will follow this dnn sample to test it (with some modify), because OpenCvSharp didn't support OpenCV 3.3 yet, so we will using python to do it. At first, load image and calculate mean, make blob object. Note: because we are using googlenet, it only support 224x224 img , so we need resize it. Load googlenet pre-trained model and forward it, get top 3 result for later use. 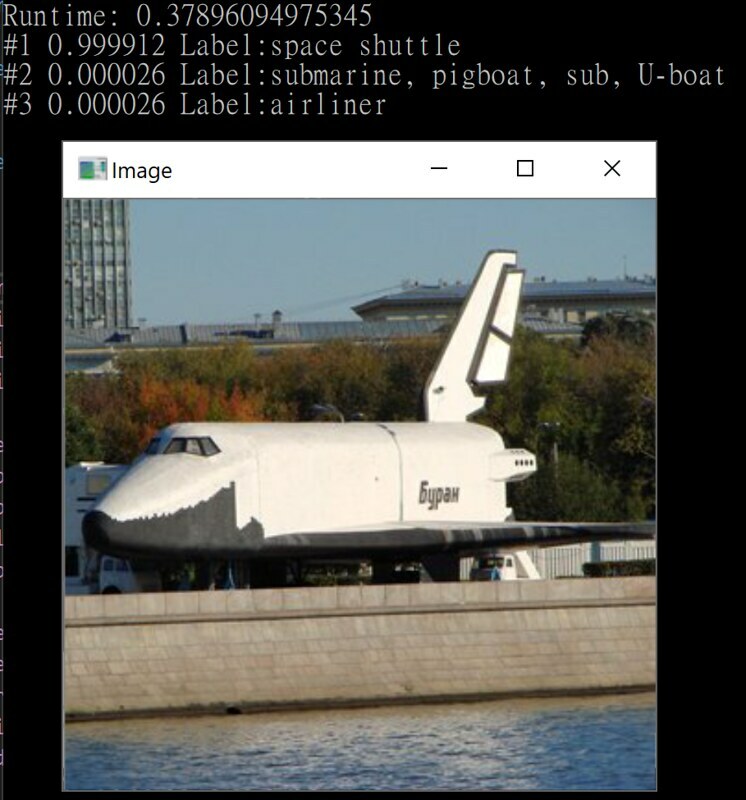 You can get the model file from bvlc_googlenet. 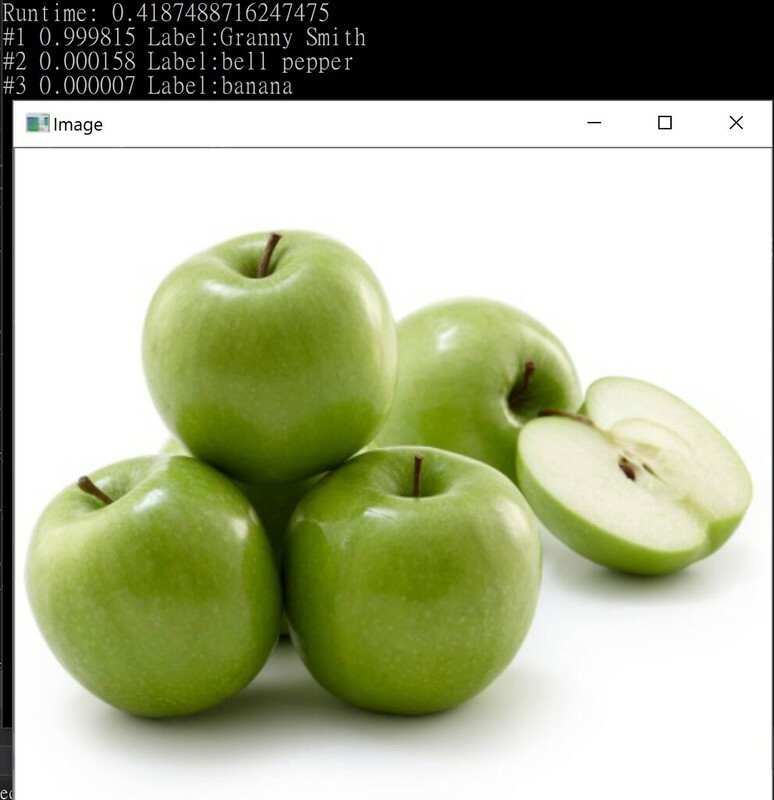 Finally, display top 3 prediction result and source image. The full code is here. Here coming more test result. Granny Smith is a apple cultivar, the green one, so it is right answer. I guess they don't have Bugatti Veyron label, so sport car count as right answer. Sorrel is a term means reddish-brown color horses, one of the most common equine coat colors in horses. So it's right answer too.